(a) Fully open the No. 2 sliding roof glass sub-assembly. (b) Using a T20 "TORX" socket wrench, remove the 6 screws and No. 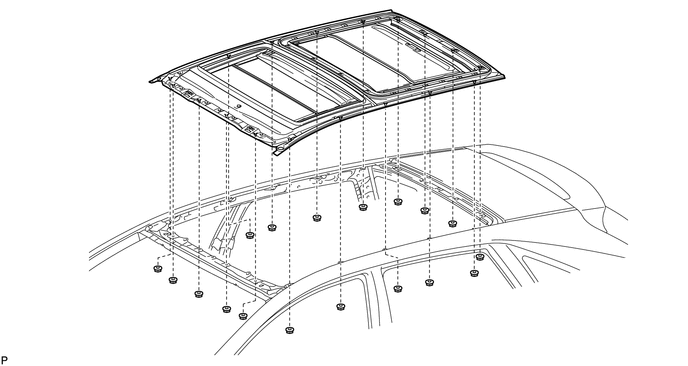 1 sliding roof glass sub-assembly. 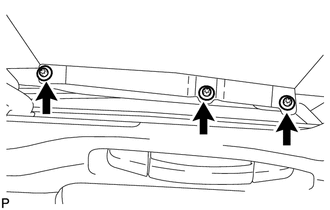 (a) Using a T25 "TORX" socket wrench, remove the screw and sliding roof side garnish LH as shown in the illustration. (a) Fully close the No. 2 sliding roof glass sub-assembly. (b) Using a T25 "TORX" socket wrench, remove the 3 screws. (c) Remove the No. 2 sliding roof glass sub-assembly. 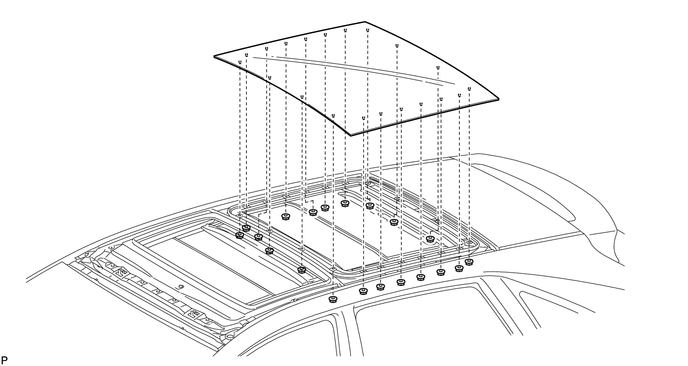 Refer to the procedure up to Remove Roof Headlining Assembly (See page ). (a) Remove the 20 nuts and No. 3 sliding roof glass sub-assembly. 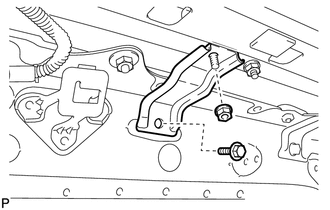 (a) Remove the bolt, nut and room light bracket. 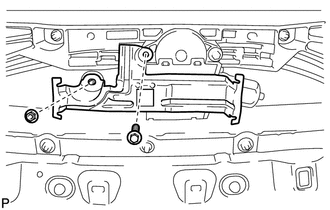 (b) Remove the bolt and sliding roof drive gear sub-assembly. 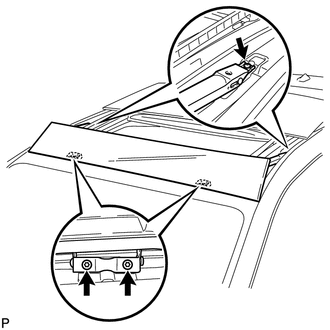 (a) Remove the 2 bolts, 2 nuts and front sliding roof housing mounting bracket LH. 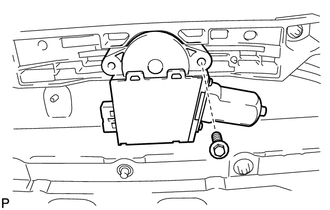 (a) Remove the 3 bolts, 3 nuts and center sliding roof housing mounting bracket LH. 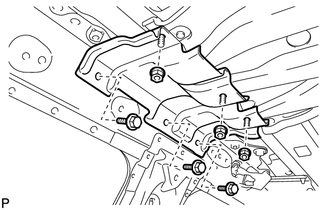 (a) Remove the bolt, nut and rear sliding roof housing mounting bracket LH. 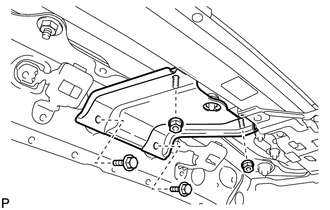 (a) Remove the 18 nuts and sliding roof housing assembly. 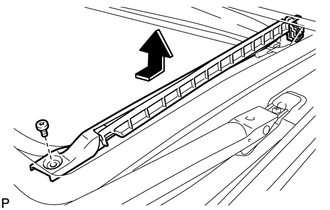 When removing the housing, be careful not to damage the vehicle. Perform this step with 2 or more technicians.